to Hyde, Cowes, and Southampton. May 4th and October 10th. 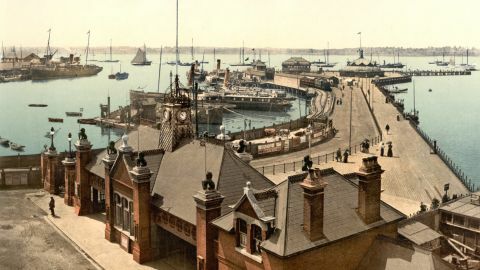 Gosport, in the reign of Henry VIII., was merely a miserable village, inhabited by poor fishermen, and its present importance may justly be ascribed to its convenient situation on the western side of Portsmouth harbour, and its contiguity to the Royal Naval Arsenal. The stores, fortifications, and long range efforts, all formed about the commencement of the present century, give a very forcible idea of the value attached to its commanding position; but the streets, narrow and dirty, have anything but a prepossessing appearance to a stranger. 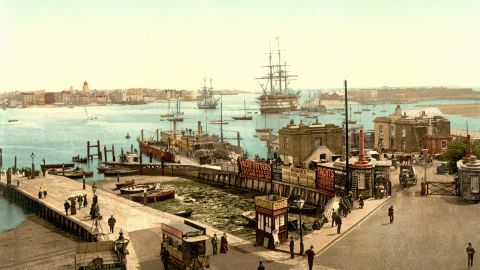 The ferry across the harbour, which is here nearly a mile broad, is contrived by means of the steam floating bridge, sufficiently capacious to convey vehicles as well as foot passengers across to Portsmouth, in a journey that rarely occupies more than eight minutes. The toll is one penny. About one mile north of Gosport, near Forton Lake, are the new Military Hospital, the Barracks, and the Royal Clarence Victualling Yard; south of the town is Haslar Hospital, completed in 1762. 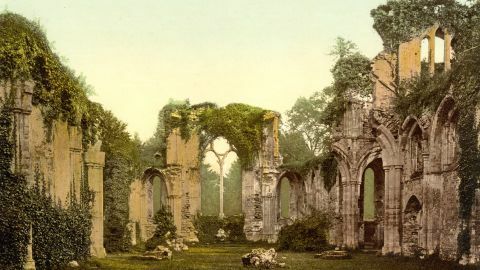 It is capable of affording accommodation to about 2,000 invalids. The average expenses of this establishment, intended exclusively for the reception of sick and wounded seamen, is about £5,000 per annum. The portico of the centre part of the building is surmounted by the royal arms, flanked by two figures personifying Commerce and Navigation. A new suburb, called Bingham Town, contains some genteel modern residences.